An excessive supply of legal marijuana is causing Oregon pot prices to hit rock-bottom, sending some nervous growers to start switching to another type of cannabis in order to meet the demand, one that doesn’t come with a high. This is the reason why a glut of applications for state licenses to cultivate hemp, the non-psychoactive relative of marijuana, can be observed in the Beaver State these days. In fact, there’s been an increase of more than twentyfold in the last three years, placing the state in the top two spots among the places where hemp is cultivated actively. This rapidly growing market is the testament to the sky-high demand for a hemp-derived extract called CBD, or cannabidiol, which is purported to have health benefits. If you’re interested in using CBD oil in OR, here’s everything you need to know about the popular cannabinoid. The state of California made a lot of noise upon the legalization of recreational marijuana just this year. However, Oregon was way ahead in the regard, having already legalized recreational pot as early as 2014. Having said that, yes, CBD oil is legal in the Beaver State. This oil can be extracted from cannabis, and since cannabis is legal for recreational use, it follows that CBD cannabis oil is allowed to use in the state as well. This is a good thing, considering the product is more often used for therapeutic or medicinal purposes. Whether the oil is a CBD isolate or full spectrum CBD, its THC content should not go over 0.3% as per state law. Any plant with a THC level of 0.3% and below is regarded as hemp, and hemp is legal to use, possess, and cultivate in all 50 states. What Kind of CBD Oils are Legally Available in Oregon? Both CBD cannabis oil and CBD hemp oil are available in the state. The former is sourced from the marijuana variety of the cannabis plant and the latter is derived from the hemp variety. The difference between both varieties is the amount of THC on each product. The state is extremely tolerant in the use of marijuana even to non-patients. However, it’s important to have a full understanding of what’s allowed and what’s not according to state law. As for the possession of marijuana in a private property, a resident of the state is allowed up to 8 oz of dried flower. While legal, residents are not allowed to toke up in public. While the rules apply statewide, local cities and counties have the liberty to regulate whether or not they will allow for recreational cannabis shops. For this reason, there are some areas in OR where recreational shops are banned. As for CBD hemp oil, the product is fully allowed in the state under the 2014 Farm Bill. This means that any product derived from hemp is easy to buy and are commonly found in head shops, vape stores, and food stores. What Can CBD Oil be Used for in Oregon? Most medical conditions can be treated with pharmaceutical drugs, but a downside is the fact that prescribed medication often comes with side effects. CBD, however, is purely organic and all natural, so users are assured that they won’t experience strong side effects. If there are, they are only limited to mild headaches, a feeling of tiredness, and dryness of the mouth. How Can I Get CBD Oil in Oregon? CBD products are available in state-licensed dispensaries. If you’re not sure where the local dispensaries are, go online and search for the nearest cannabis dispensing stations. However, you can also find CBD products in head shops and vape shops across the state. These stores offer different kinds of CBD products, not just oils and concentrates, but also edibles, wax, capsules, tinctures, and pet products. Some health stores also carry a line of CBD products. If going to a local dispensary or smoke shops isn’t an option, another way to get CBD in OR is through online sellers. Online shops are known to have a wide range of CBD products and with more ideal prices. In buying CBD online in Oregon, it’s important to read reviews first for each product. Look for customers who have used their products before and check if the products have gone through third-party lab testing. Can Doctors Prescribe CBD Oil in Oregon? From a legal standpoint, doctors in OR or anywhere in the US are not allowed to prescribe cannabis or any product derived from it including CBD oil. Cannabis is listed as a Schedule 1 drug, making it illegal on a federal level. However, doctors may recommend its use if a patient is found to have a qualifying medical condition. According to doctors and health professionals, there is a big difference between “prescriptions” and “recommendations,” which in the case of marijuana, should be observed properly. Are there Stores or Dispensaries that Sell CBD Oil in Oregon? 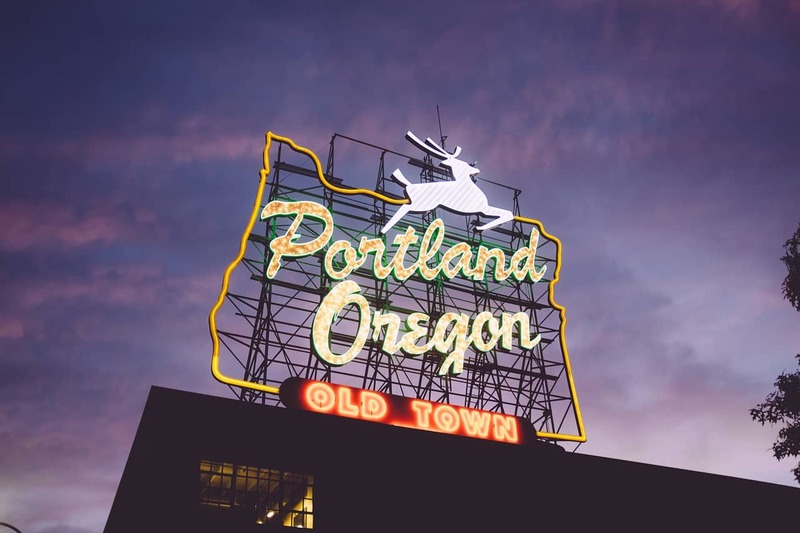 Yes, there are several state-licensed dispensaries in OR, with the biggest concentration found in Portland. However, you can also find more CBD stores in different cities that mainly offer hemp-derived CBD products. Can I Buy CBD Online in Oregon? Definitely. In fact, buying hemp-derived CBD products online is more convenient. OR residents will be given the option to access so many different manufacturers and retailers in the comfort of their homes. CBD of every variety is perfectly legal in Oregon and has been so for several years now. There is no indication that this will change. If anything, CBD in Oregon will continue to grow in popularity, as more people find out about its benefits.